Bali is an island of Indonesia on the western edge of the Sunda Islands and lies between Java to the west and Lombok to the east. 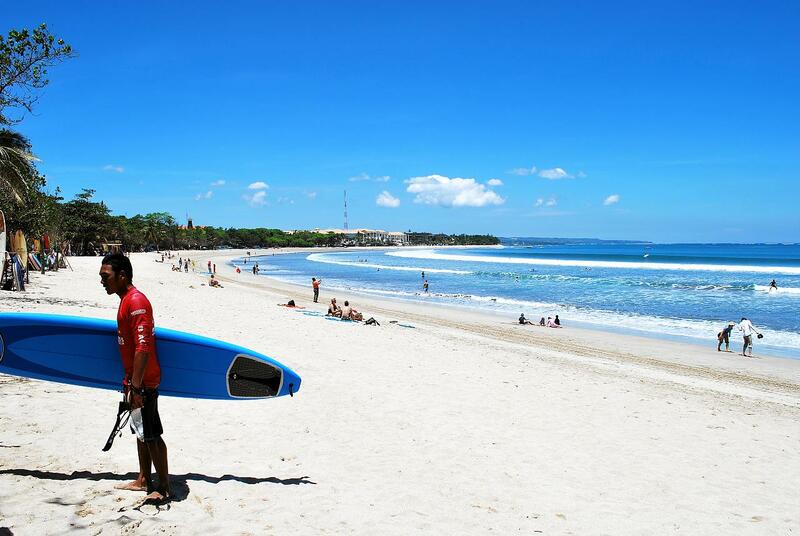 Bali is well known for its highly developed arts, including traditional and modern dance, sculpture, painting, leather, metal and music for free. So it become a largest tourist destination for home and abroad and called paradise for tourists. Tanah Lot, one of the most important temples in Bali. The coral reefs encircled the whole island and South Beaches tend to be white sand, while the north and west black sand. Black sand beaches between Pasut and Klatingdukuh are built-up for tourism but excepting the seaside temple of Tanah Lot. The surroundings of sandy coral island attract you a lot and make you delighted.